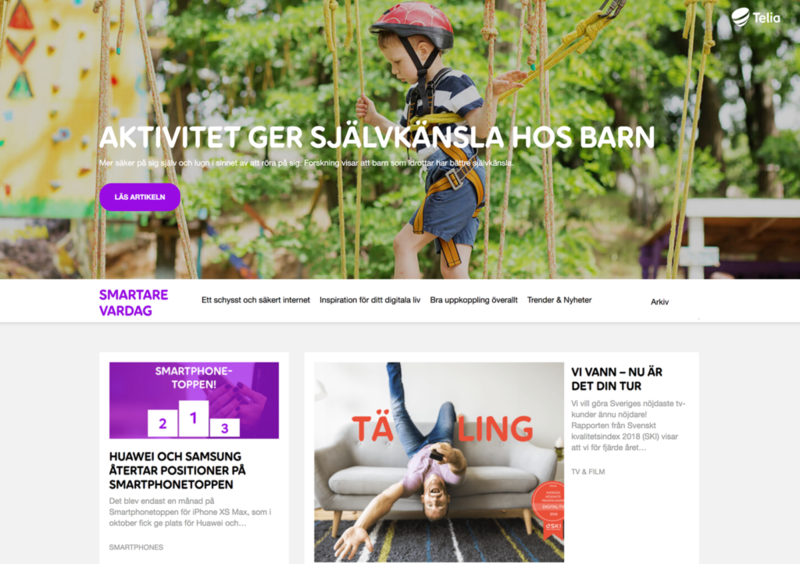 With the blog Smarter Week, Telia wants to inspire you to get a smarter everyday with the help of your mobile devices. With interesting articles for both those who want to be inspired and for those who want to learn something new. from the hottest mobiles to TV tips and smart everyday gadgets. DING has been responsible for the development and operation of this very popular blog for several years.